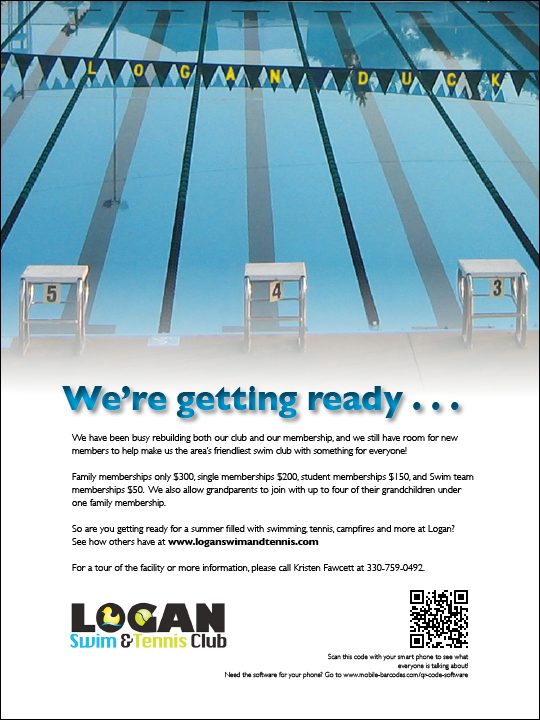 Ads were placed in local indoor winter swim league programs as well as local spring, newspaper editions to promote Logan Swim and Tennis Club in Liberty Township. QR (Quick Response) Codes were added so that anyone with a smart or web-enabled mobile phone could instantly scan the code and be taken automatically to the clubs web site. This ad was run in The Review Newspaper (Trumbull County edition) for four weeks in May leading up to the start of the summer season. The design was targeted for families with children (guess who the boy is and get 25% discount on your next DELCOM Solutions project). Free QR Code-reader applications can be downloaded to any smart phone. About 82 percent of phones on the market today have camera abilities, and the number will grow closer to 100 percent in the near future. Once you have a QR Code, put it on just about anything: packaging, ads, posters, billboards, business cards, signage, stickers, and your website.QR Codes are great ways to attract prospects, anywhere, to your web site or business. 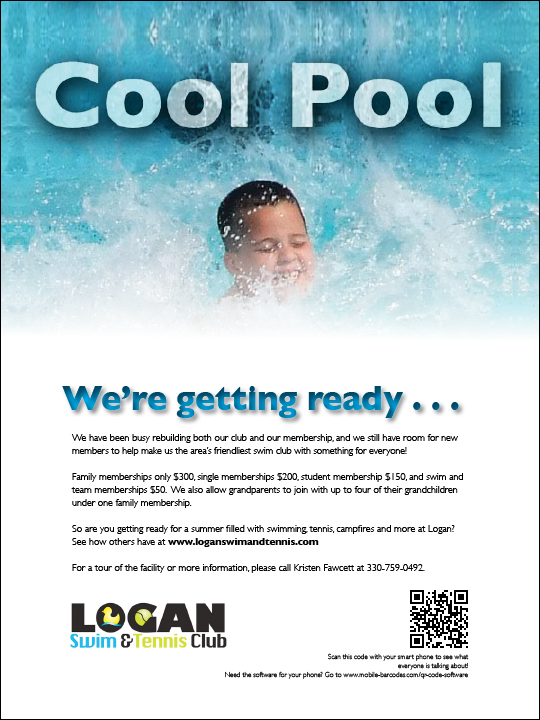 This ad was run in a program for an indoor swim meet hosted at the YMCA during the winter season to attract families with children that want to swim competitively.